Breast MRI is a technique that uses a magnetic field to create an image of the breast tissue, using hundreds of images taken very quickly. It does not use radiation or X-rays like a mammogram does. Breast MRI usually involves an injection into a vein in the arm. Should I have a breast MRI? other less common reasons, such as checking breast implants for signs of leakage, and looking for changes in the breast when abnormal nodes are found in the armpit. Who should have screening with MRI? have had a genetic test showing that you carry a BRCA1 or BRCA2 gene mutation. You can find out more about your risk of breast cancer by reading the Family history of breast cancer fact sheet. The cost of breast MRI may be covered by Medicare for women at potentially high risk of breast cancer. There are very strict rules about who can qualify for a Medicare rebate, and you should discuss these with your doctor. To be eligible for a Medicare rebate, you must be under the age of 50, assessed as being in ‘Category 3’ for risk of breast cancer (outlined in the Family history of breast cancer, have an MRI scan ordered by a specialist (such as a genetics or breast cancer specialist) rather than a general practitioner, and have the scan on a particular type of MRI equipment. What are the benefits of MRI screening? MRI is able to create very detailed images of the breast tissue. Research has shown that MRI can find some very early breast cancers that cannot be seen on a mammogram or ultrasound. This is why it is recommended as a screening test (in addition to mammography) in women who are at high risk of breast cancer because of their family history or because of an inherited gene fault. Breast MRI has only been shown to be effective in younger women (under the age of 50). It is not routinely recommended for women over the age of 50, as screening with breast MRI has not been shown to be more effective than mammography or ultrasound. Neither is it recommended for women who do not have a family history that puts them at potentially high risk of breast cancer. It is thought that by finding breast cancer early with an MRI scan, survival from breast cancer may be improved, although this has not yet been confirmed in research trials. 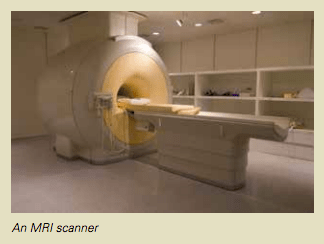 What are the limitations of MRI screening? Some of the limitations of breast screening using MRI include the following. Changes that are not cancerous may be found. Breast MRI is a very sensitive test, so it is very accurate for picking up cancerous changes even when they are very small. One of the disadvantages of this is that MRI sometimes picks up other changes in the breast that are not cancerous (a ‘false positive’ result). Sometimes changes can look like cancer on an MRI scan when they are not. This means that there is a chance that you will need to go back for more testing, such as an extra ultrasound and a biopsy for something found on an MRI scan that eventually turns out to be non-cancerous. It is therefore important that you do not get too anxious if you are asked to return for more testing after your scan. Sometimes a cancer that is present may not be found on the scan. This is a very uncommon situation. Although it is a very sensitive test, MRI is not a perfect test. It is still possible that an MRI scan will fail to see a cancer in the breast due to the type and/ or size of the cancer (a ‘false negative’ result). Do you still need a mammogram? Breast MRI is not a substitute for a mammogram. Although it will sometimes pick up changes that are not seen on a mammogram, there are also some cancers that only show up on a mammogram. Women at high risk of breast cancer should have a mammogram each year, preferably at the same time as the MRI. Sometimes a screening ultrasound will also be recommended. What are the benefits of breast MRI after a new diagnosis of cancer? there is cancer in the opposite breast. The extra information from a breast MRI can help your surgeon and oncology team plan your cancer treatment. What are the limitations of breast MRI after a new diagnosis of cancer? MRI can sometimes lead to over-treatment of breast cancer. For example, the surgical team may recommend that a woman have a mastectomy rather than breast conservation surgery because the MRI shows that there more cancer in the breast than expected. This could be unnecessary if it turns out that the changes seen on the MRI were not related to the cancer; therefore, it is important to confirm changes on the MRI with a biopsy. There is also research suggesting that more surgery is not always necessary for small spots of MRI-detected cancer. Nearly all women who have breast conservation surgery will also have radiotherapy, and it is possible that these small extra spots of cancer are adequately treated by the radiotherapy rather than needing more extensive surgery. When do I get results? Reporting an MRI scan can take an expert radiologist an hour or more, so results are almost never available on the same day you have the scan. Unlike a mammogram or ultrasound, the results are not usually available for you to take with you after the scan. Before you have the test, you should make a plan to get the results. This usually means seeing the doctor who ordered the scan a few days later and possibly picking up the x-rays and report from the MRI facility. What happens if something is found on the scan? If an abnormality is seen on the MRI, you will be asked to go back for more testing. This is a similar process to what happens if a problem is found on a screening mammogram. Usually an ultrasound is the next thing that is done. Even if you have recently had a breast ultrasound, you may be asked to have another one, which will focus on the area that looked abnormal on the MRI. Sometimes changes will be seen on the ultrasound that were not noticed, or not thought to be important, when the first one was done. If an abnormal area is seen on the ultrasound, it may be recommended that you have an ultrasound-guided biopsy. If no abnormality is seen on the ultrasound, you may not need to have anything else done. A follow-up MRI scan 6 or 12 months later may be all that is needed. However, if no abnormality is seen on the ultrasound, but there is still concern about the MRI abnormality, it may be recommended that you have an MRI-guided biopsy. This is a very specialised test that requires dedicated equipment (including needles) that are not affected by the magnetic field. When you have a breast MRI, you will lie on the scanning bed face down. Usually your arms will be placed above your head. Sometimes your arms can be kept at your side if you have a shoulder problem restricting your position. You will go through a tunnel as the images are taken. Your breasts hang into special devices called breast coils, which improve the quality of the images. Your breasts will not be compressed during an MRI (as they are in a mammogram). Hundreds of images are taken very quickly, and are stored in a computer for later analysis. It normally takes about 30 to 45 minutes to complete the scan. You will need to stay very still during the scan. Usually an injection is given into a vein in your arm, and images are taken before and after the injection. This injection helps to highlight blood flow in the breast. This helps the radiologist decide if a change in the breast is cancerous or not. Research has shown that MRI is most accurate when it is done in the first half of the menstrual cycle. Ideally it should be done between the early and middle parts of the menstrual cycle. This is usually between 4 and 16 days after a period starts for a woman with a regular 28 day cycle. If you have gone through menopause, MRI can be done at any time. However, if MRI is being done after a recent diagnosis of breast cancer, your doctor may recommend that you have the scan even if it is not the ideal time in your cycle. Breast feeding (lactation or milk production) can make an MRI difficult to interpret. It is important that you let the radiographer know if you are breast feeding at the time of your scan. As the MRI machine contains a very strong magnet, it is important that some types of metallic objects are not taken into the scanning room. This means that people who have pacemakers and some kinds of prostheses (metal or electronic implants) should not have a scan. You will be asked to complete a questionnaire which lists all the implants or metal objects that could possibly cause harm during a scan. If you are in doubt, please ask the radiographic technical staff. Jewellery, pens, glasses and watches need to be removed before the scan. Dental fillings and surgical clips are usually not affected by the MRI magnet. The MRI scanner is very noisy, and the machine can feel cramped inside. You will be given ear plugs to help reduce the noise and you will also have a button to press if you need help. Women who are uncomfortable in a confined space or suffer from claustrophobia may not be able to have an MRI scan. Oral or intravenous sedation can be effective if the scan is necessary. This requires planning in order to perform the scan safely, and it may mean that you wait longer for an appointment. If you have breast implants you should make sure that the radiologist is aware of this before you have the scan. MRI does not damage breast implants, and in some cases MRI scanning is used to assess implants for leakage. However, the settings on the machine need to be adjusted when a woman has breast implants, so it is important to let staff know if you have them. Although MRI is not thought to cause harm to a foetus, it is not usually recommended during pregnancy. If you have ever had an allergic reaction to a radiology contrast injection (e.g. gadolinium, a contrast used during MRI scanning), you must inform the staff. If possible, it is useful to know exactly what injection you have reacted to in the past. It may be possible to use a different contrast material for the scan. Women who are very large may not fit into the scanner, as it has quite a narrow tunnel. If you weigh more than 100kg you should mention this to your doctor. Some issues about MRI are very complex, and you should spend some time discussing the possible outcomes with your doctor before you decide whether or not to have the scan. Asking lots of questions is the best way for you to understand what is happening. If you need more information, you can speak to your clinic doctor, breast care nurse or radiologist.